mix the dry ingredients together in a bowl. using your fingers or a pastry knife to cut in the butter, allowing for both pea size and smaller pieces of butter. do not overwork, you want the butter to stay relatively firm and cool. quickly add in the buttermilk and stir to create a moist dough. turn dough out onto a well floured surface and press into a rectangle. do not saturate in flour, but also use enough to prevent sticking. bring the short ends of the dough in, folding into thirds. give the dough a quarter turn and press or roll again into a rectangle. fold into thirds. repeat 2 more times, using enough flour to keep dough from sticking. after the final turn, roll the dough into a 3/4" rectangle. use a biscuit cutter to make rounds, or for simplicity, cut evenly into squares. 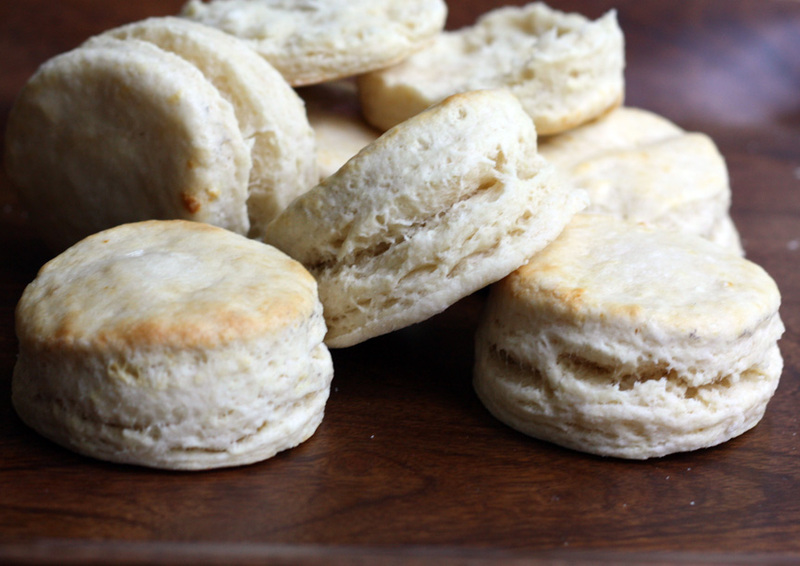 brush top of each biscuit with buttermilk, and place on a lined baking sheet. 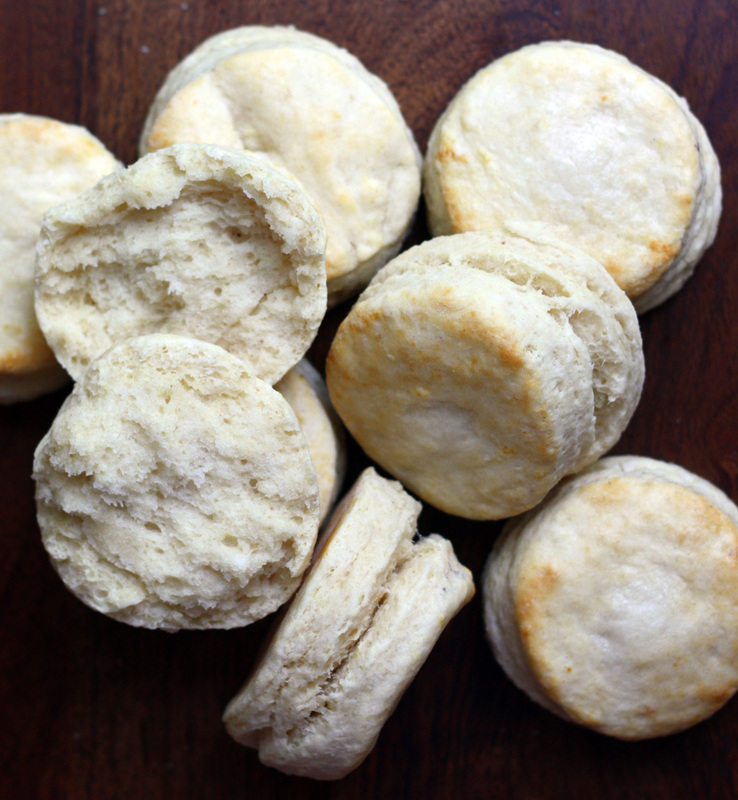 i like to place my biscuits fairly close together, so they bake together a bit. it gives it a little softness around the edges. if that is not your thing, make sure you have at least 1 1/2" separation when placing in pan. bake at 400F for about 15-20 minutes, or until golden brown.